The videos show reporters in front of paranormal/hypothetical disasters made with practical and digital effects. 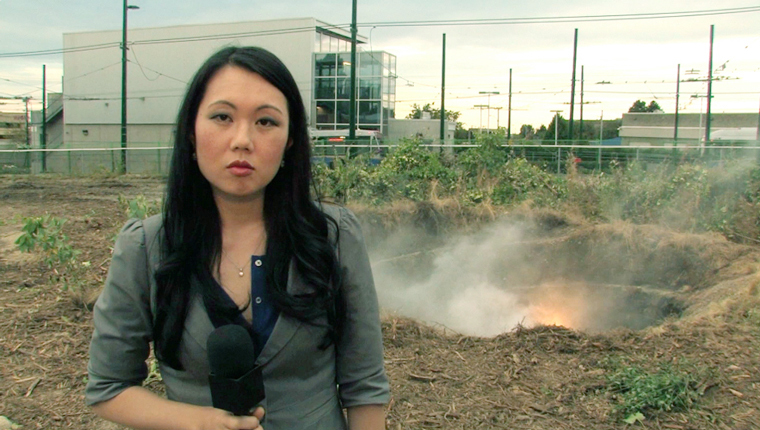 Miyoung Lee (CBC) stands in front of what looks to be a UFO crash. 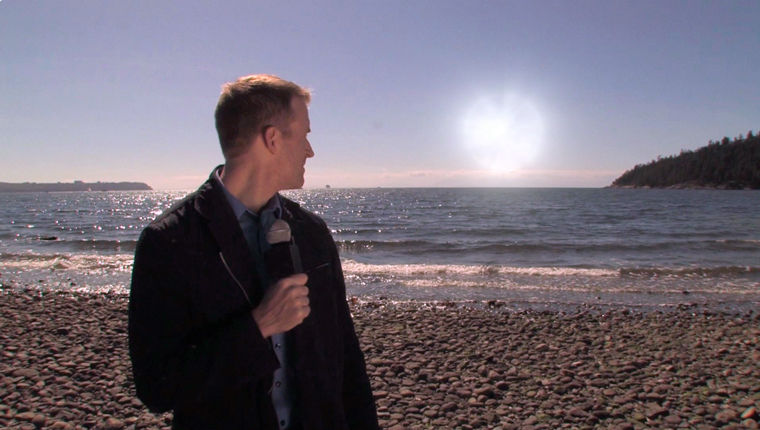 Gregory Harper (CTV) stands on the beach as a floating blur approaches from the horizon. The works were aired as a TV Broadcast on December 21st, 2012 on Shaw Cable.